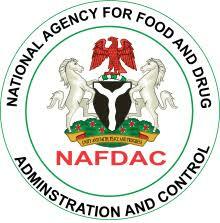 The National Agency for Foods and Drug Administration and Control (NAFDAC) has assured corporate organisation, Non-Governmental Organisations (NGOs) and private establishments of the availability of globally recognised laboratories to confirm the quality of Finished Pharmaceutical Products (FPP) in the country. The Director General of NAFDAC, Yetunde Oni, gave the assurance while signing a Memorandum of Understanding (MoU) with Catholic Relief Services (CRS) for the sampling and testing of Finished Pharmaceutical Products from private sector under the Global Fund support, in Abuja, recently. She disclosed that four NAFDAC laboratories spread in different parts of the country have attained ISO 17025 accredited. CRS is one of the world’s largest private voluntary organisations, supporting international relief and development work in more than 100 countries and territories around the world. As a Principal Recipient of the Global Fund malaria grant in Nigeria, CRS in line with the Global Fund’s regulations is required to monitor the quality of FPPs including ACTs, Sulfadoxine/pyrimethamine, and Artesunate injections in the supply pipeline. Mrs Oni further disclosed that the Central Drug Control Laboratory in Yaba, Lagos, is about to get World Health Organisation (WHO) pre-qualification. This is apart from the ISO 17025 accreditation which it has already obtained. “And so, we will have the two accreditations in place. This means that our equipment will be top-notch, chemicals, consumables are readily available and we have put all the necessary strategies in place to ensure that we are not in want at any particular point in time. “We have gotten the approval to bulk purchase our equipment, chemicals, consumables, reference standards and whatever we need to work in the lab to purchase them from Germany. We have signed a Memorandum of Understanding (MoU) for five years. “These are all efforts to ensure quality of service from the laboratories is not undermined at all,” she said. She further explained that: “We have four laboratories of NAFDAC out of the seven that we have in the six geopolitical zones of the country have achieved ISO 17025 accredited. “Three out of these four analyse drugs, one is specifically dedicated to food and allied products. These are the Central Drug Control Lab in Yaba, the Area lab in Kaduna, the Agulu laboratory in the south-eastern part of the country. These three analyse drugs in addition to other regulated products of the agency. Speaking, the Country Representative of CRS, Rebecca Hallam, noted that the routine monitoring of the quality of Finished Pharmaceutical Products was very key to her organisation as well as the Global Fund.